Dr. Evensen received his bachelors degree from St. Olaf College prior to attending the University of Minnesota School of Dentistry. He obtained his D.D.S. (Doctor of Dental Surgery) in 1988 and completed the requirements for the Advanced Education in General Dentistry Residency in 1989 at Minnesota. Dr. Evensen practices general dentistry with emphasis on preventative, restorative, and cosmetic aspects. He continues his affiliation with the dental school through part-time instruction of students. In September 1996, Dr. Evensen joined Drs. Hoover, Anderson, and Norsted as an owner of Valley Dental Group. Dr. Evensens professional memberships include the American Dental Association, Minnesota Dental Association, Minneapolis District Dental Society, and the Northside Dental Society. In addition to dentistry, Dr. Evensen enjoys spending time with his wife and daughters, and outdoor activities such as snow skiing, golfing, and water sports. Dr. Fenske is a native of New Ulm, Minnesota. After graduating from St. Olaf College in 1984, she attended the University of Minnesota School of Dentistry and received her Doctor of Dental Surgery (D.D.S.) degree in 1988. Dr. Fenske was commissioned as a Lieutenant in the United States Navy and was stationed at Naval Air Station Moffett Field in California for four years. From 1992 to 1995, Dr. Fenske was in private practice in Northern California while also serving in the Naval Reserve. She was excited to have the opportunity to return to Minnesota, closer to family and friends, and accepted a full-time position with Valley Dental Group as an associate general dentist in October 1995 and became an owner in January 2000. Dr. Fenske is experienced in all facets of general dentistry with an emphasis on preventative and cosmetic dentistry. Dr. Fenskes profession memberships include; the American Dental Association and the Minnesota Dental Association. 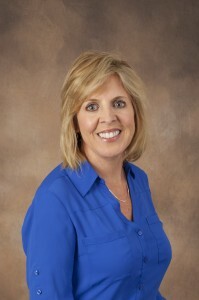 In addition to dentistry, Dr. Fenske enjoys spending time with her husband and three children. Dr. Parsons was born and raised in Oshkosh, Wisconsin. In 1979 she began attending the University of Minnesota, her fathers Alma Mater. In 1982, Dr. Parsons was accepted into the University of Minnesota School of Dentistry where she subsequently received both her Bachelor of Science and Doctor of Dental Surgery Degrees. Dr. Parsons continued her dental education at the University of Minnesota by completing a postgraduate General Practice Residency in 1987. Following the General Practice Residency, Dr. Parsons moved to Illinois where she and her husband resided. She practiced general dentistry full time in Park Ridge, Illinois and instructed restorative dentistry part time at Northwestern University Dental School in Chicago, Illinois until 1990. Dr. Parsons and her husband then relocated to the Twin Cities; their home away from home! She instructed preclinical and clinical restorative dentistry at the University of Minnesota School of Dentistry. 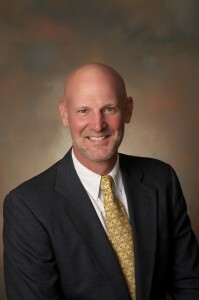 Valley Dental Group recruited Dr. Parsons in 1993 as an associate. In January 1999, Dr. Parsons became an owner of Valley Dental Group. She currently practices full time and enjoys all facets of General and Esthetic Dentistry. Dr. Parsons professional memberships include; the American Dental Association, Minnesota Dental Association, Minneapolis District Dental Society, Northside Dental Society, American Academy of Dental Group Practices and American Academy of Computerized Dentistry. 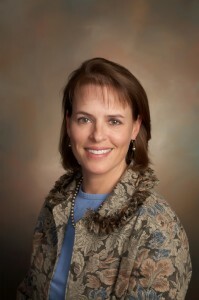 In her free time, Dr. Parsons most enjoys family time with her husband and three children. She also enjoys running, skiing, golf and the great outdoors as well as being an active member in her church.